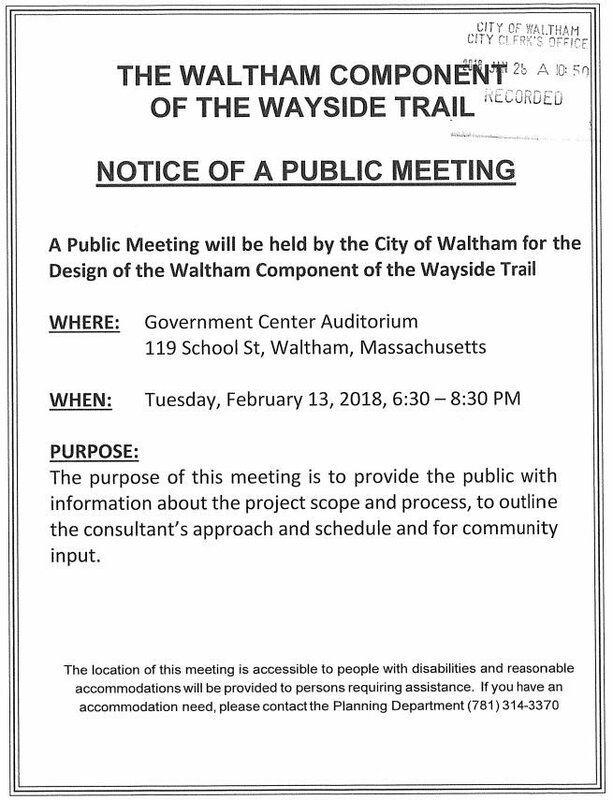 The City of Waltham will hold a public meeting regarding the Wayside Rail Trail. It will take place at Government Center Auditorium, 119 School St, Waltham MA, 0n Feb 13th, from 6:30pm to 8:30pm. Government Center is wheelchair accessible.